After our impulsive three-day trip to Tambobong Beach paradise, the group decided to continue the adventure and visit some friends at Dagupan City. Dagupan City is tagged as the Bangus (Milk Fish) capital of the Philippines. And with this, we prepared our tummies for a gastronomic venture in the city. Our friend Mica, Mary Ann and Josh were all game upon knowing our quick stop to their hometown. With roughly 30 hours left before we go back to reality, we checked out the food scene in the city and made sure that my first visit will be wonderful. After checking in and sunset watching at Hotel Le Duc, our friends came to collect us and brought us to one of the best Pigar-Pigar house in the city. 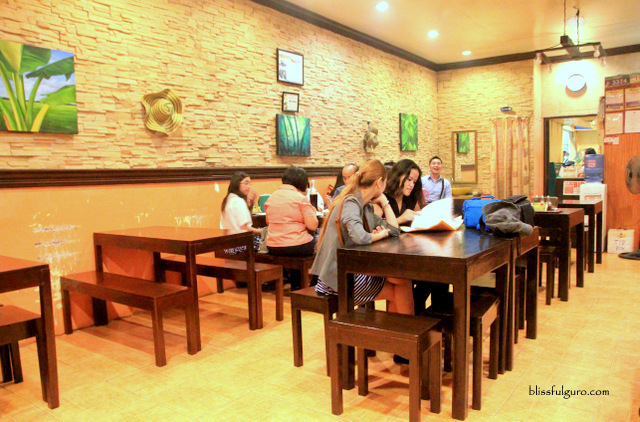 We’ve already tried the dish at Ate V’s Resto Bar & Grill earlier that day and everybody was eager to experience Dagupan’s version. Located at Gomez st.(near the roadside pigar-pigar eateries along Galvan st.), the place started as one of the eateries on the strip that turned into a legit restaurant after a few years. 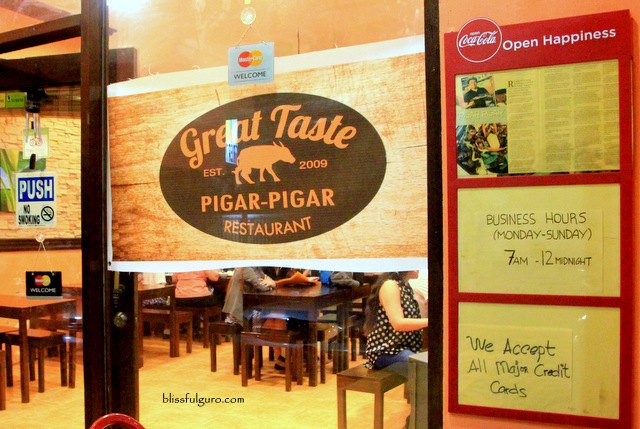 Known as one of the best pigar-pigar houses in the city (pigar-pigar is like a fusion of beef steak and beef tapa but using carabeef), Great Taste Pigar-Pigar Restaurant was the place of interest that night. The restaurant is airy and well-lit. A server immediately went to our group and assisted us. We let the Dagupeños took over the selection on the menu list. The food arrived in no time and we were blown away with the huge serving of the dish. We had Pork Sisig (120 pesos), Kaleskes and pigar-pigar (120 pesos/good for 1-2 pax) with a few cups of steamed rice (15 pesos/cup). 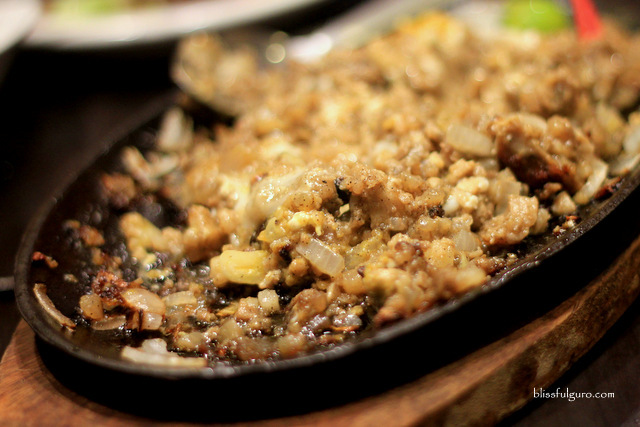 I must admit that I totally forgot about the sisig and immediately attacked the pigar-pigar with some julienne-cut cabbage and onion rings. It was yummy! 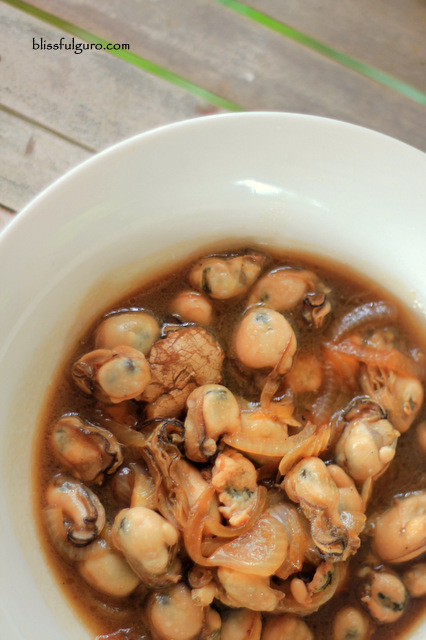 In just one bite, I fell in love with their version of this famous dish in Dagupan. 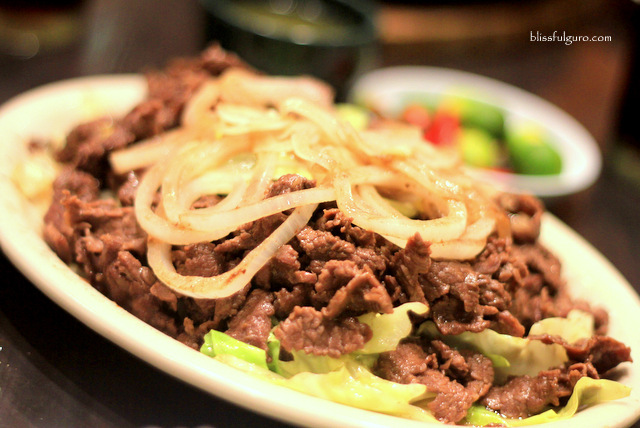 The carabeef is tasty and tender without that maanggo taste. Kaleskes is a Pangasinense term for intestines or meat innards. 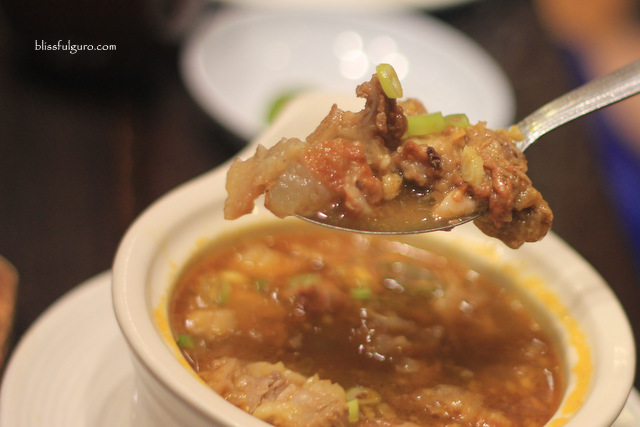 The dish is a broth with meat innards (I dunno if it’s pork, beef or carabeef) that reminds me of papaitan (an Ilocano dish) without the pait or the bile and the Gotong Batangas. I dunno why but I didn’t like this dish at all. Or maybe I’m just looking for the taste of papaitan and Gotong Batangas in it. We finished everything with buckets of beer, still at Great Taste Pigar-Pigar Restaurant, and loads of travel stories. The next day, we decided to walk around the city and found ourselves at Dagupan’s wet market along Zamora st. 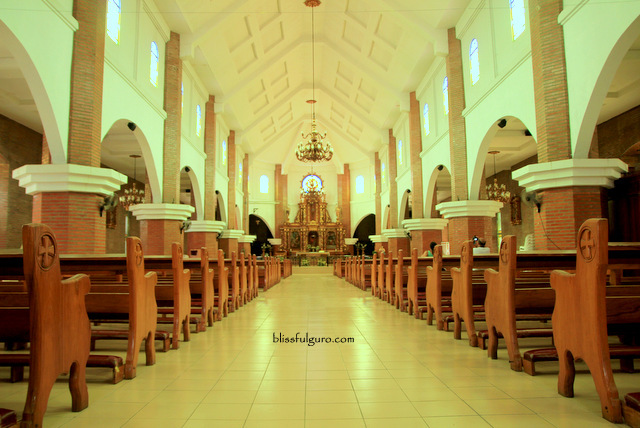 The group immediately went inside Dagupan’s Old Cathedral while I explored the wet market. I check out the seafood area and found tons and tons of fresh Bangus on different stalls. And then I realized that I spent too long inside the market and followed the guys inside the church. 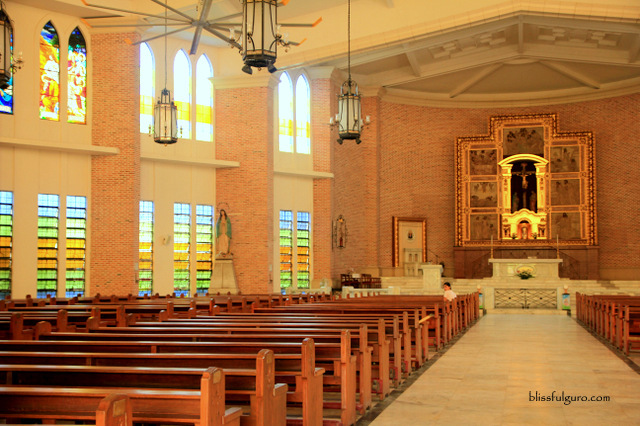 Apparently, the Old Cathedral (Sanctuario de San Juan Evangelista) was ruined by an earthquake in 1990 and some events of flooding and was renovated a few times. Since then, they decided to build a new one in 2010. 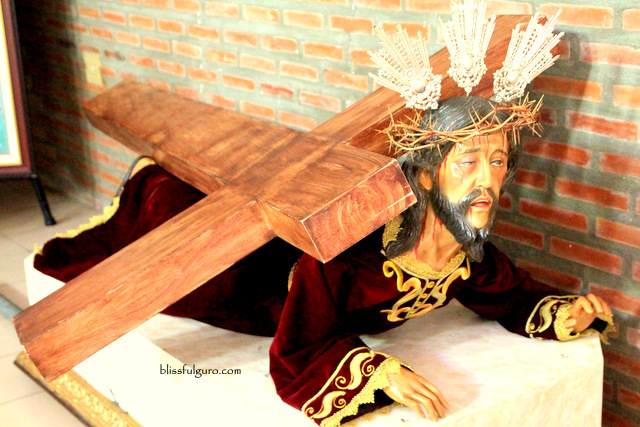 Just nearby the old cathedral is the Metropolitan Cathedral of Dagupan City. 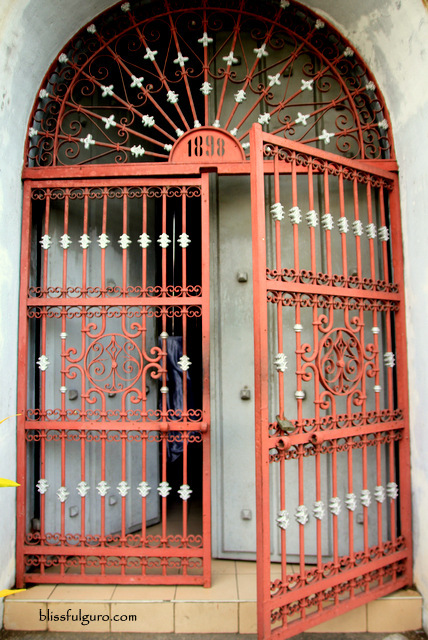 Regular masses are being held at the new church and the old one is used on special occasions. The afternoon heat brought us to a local café that serves several coffee and tea selections. 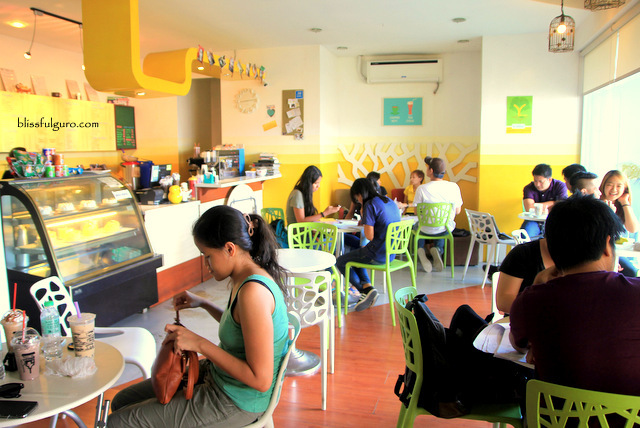 The Yellow Tree Café is home for Dagupeños yuppies who want to chill/study/chill/chitchat. 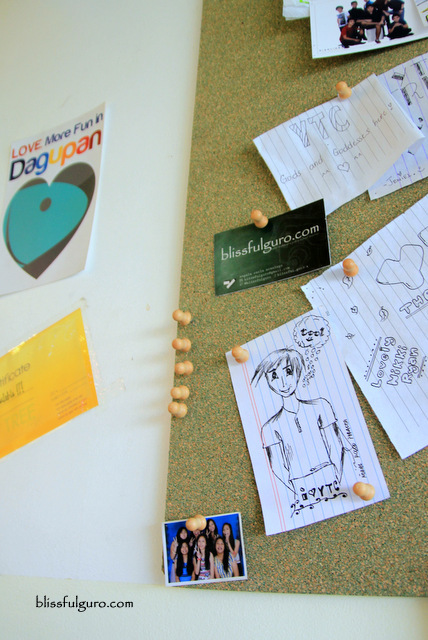 The café is homey and hip at the same time. Youngsters filled the room and even the open-air seats were occupied. We needed to rearrange things just to start the harmless drinking session. They ordered some frappe. I didn’t. Well, I don’t dig specialized teas and coffees, I just like mine black with no sugar and cream. Moving on, I got to try some of theirs and was thrilled upon trying the Peanut Butter Frappe. It’s yummy, peanut buttery and not on the sweet side (that’s just two sips, I dunno if I’d feel the same after finishing the huge serving). 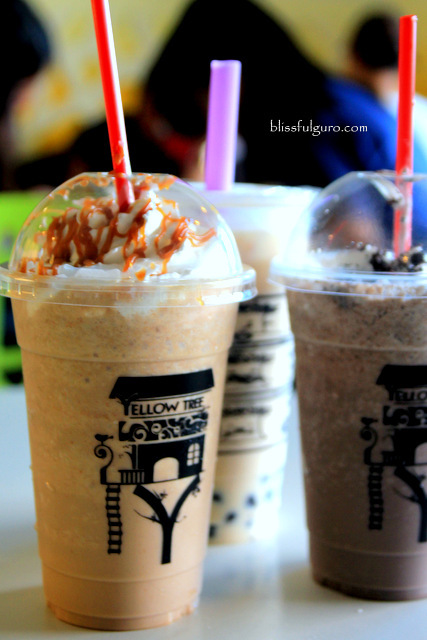 The others got some milk tea and another frappe. They enjoyed it and I enjoyed watching them enjoyed their drink. And then I suggested we could go somewhere, at the fish pens! I remembered how my uncle would bring us to Baguio right after Christmas to enjoy its chilly weather. 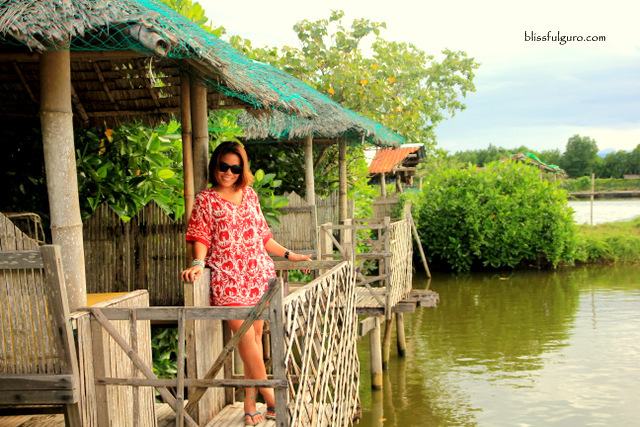 We’d stop by on this native hut on stilts somewhere in Pangasinan and feast on grilled Bangus and oysters. 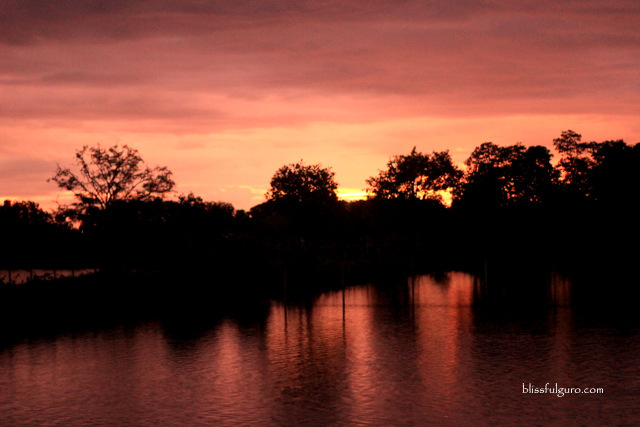 That’s the Pangasinan that remained in me and I was looking for that native hut/palaisdaan feel at Dagupan. Mica brought us to this happy drinking place along Judge Jose de Venecia Highway. 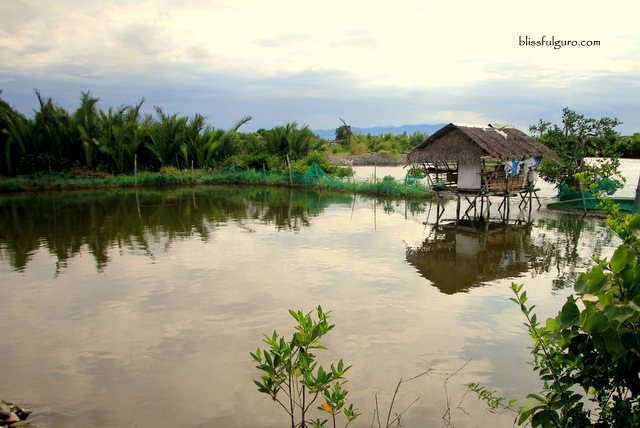 When I saw the native huts on stilts, I couldn’t contain my excitement as memories from the past went back and we all immediately agreed that we’ll be spending our last few hours in the city right there. 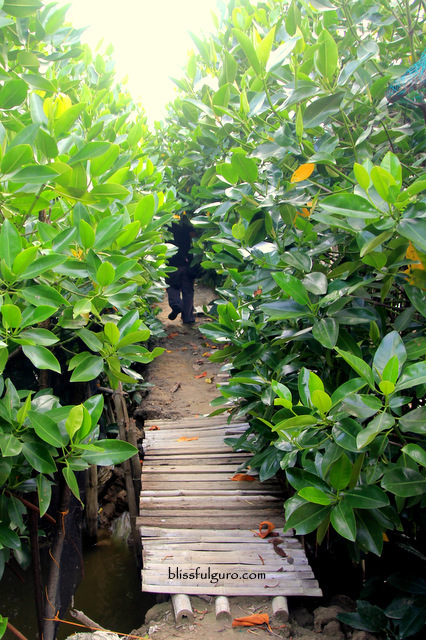 The clandestine party place is named ATC Ihawan. 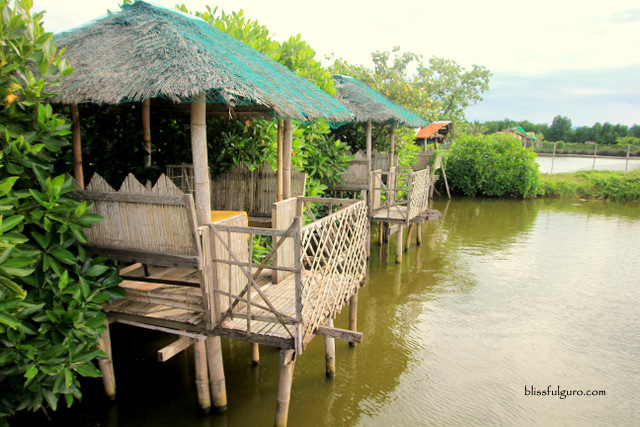 This has been around for years and the differently-sized native huts on stilts are open for dining, boozing up and/or belting your hearts out on a videoke machine. 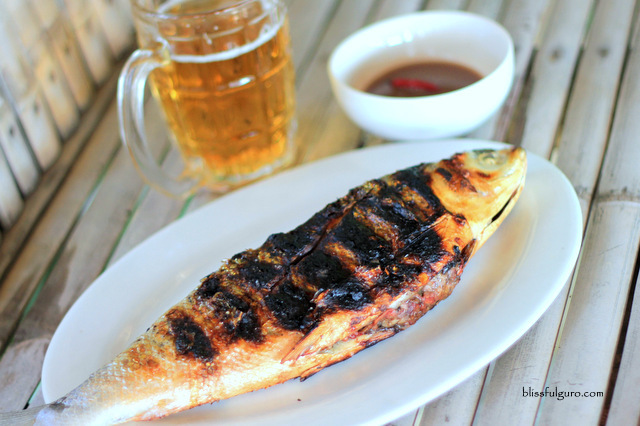 We immediately tossed all of our 5-peso coins on the table and started the party after ordering a few bottles of beer, Grilled Bangus (75 pesos) which really tasted fresh but the bones annoyed me much and Adobong Talaba (50 pesos) which tasted yummy and fresh too. The party in our huge hut lasted for 6 hours. We ordered another round and another and another and we lost count. The videoke machine didn’t give up on us. The mic was forcefully passed around and everybody got their own share of the limelight. We had so much fun that I needed to constantly remind them of our departure time. And we did it just in time. 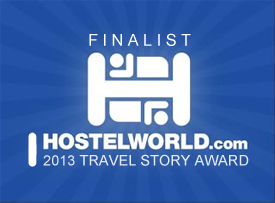 We hopped on the bus and immediately snoozed away our accumulated four-day exhaustion. It was indeed a fun Dagupan experience. And I know just where to go when I get back there.